In 1971 at the age of 19, I suffered a fractured neck in a swimming pool diving accident and was paralyzed from the neck down. After surgery and rehab, I was able to walk with a gait and a weak left side. As years passed, Father Time and age caught up with me. I began using a walker to assist me in my mobility. For nearly 48 years, I was a client at a vast number of physical therapy establishments and have sincerely lost count. 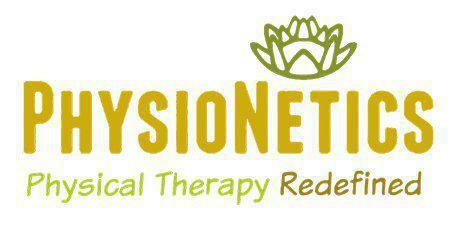 At Physionetics I have found a PT Home where they listen to me, are sensitive to my needs, and kindly work with me. After searching for the "right" physical therapists...I found Physionetics. Dr. Niki, Mei, Sharon, and Joe have found a place in my heart. Dr. Niki provided me with the most comprehensive evaluation I have ever received. Joe has given me the greatest gift of Hope...a necessity in a rehabilitation journey. Hope instills in you a positive attitude. A positive approach maximizes your energy to achieve your health goals and to attain your full potential. My progress has been more than I could have ever imagined. Sending good thoughts to Physionetics with a huge thank you! I was so impressed with Niki's credentials and her approach to help with my chronic neck problems. She was very personable and clinical. Her technique in releasing my really tight muscles were amazing! I wish I had seen her years ago! She and her staff are outstanding! Do consider this option, if you are in pain. I highly recommend Niki's services! I feel like tons of pressure is off my neck and shoulders. I am so darn happy! Dr. Niki and staff brought me back from painful and debilitating muscle issues. Her use of modern technology plus knowledgeable hands on therapy have me golfing, fishing and climbing ladders again. My favorite caregiver! I wish I could give Niki 10 stars!!!! She tackled a problem that we had for several years, and within minutes came up with the shoulder diagnosis and therapy that more than 10 ortho/neuro doctors had missed ! Also, she gave us home therapy advice and called us to check up on things. I have never seen such a kind, caring and intelligent medical professional in my life! She is intuitive and tenacious in her efforts to help you, and makes you feel like a member of her own family. Niki Varveris is amazing in every way. You will not be disappointed, but very happy that you did! Also, her office staff is very, very nice and helpful. Niki is a true professional, but beyond that she is extremely knowledgable, caring, and tenacious with problem solving. She quickly resolved a problem that I had had for over two years and stumped my internist, an orthopedist, a chiropractor, and my oncologist. She understands womens' health issues and unique physical therapy challenges. I recommend her without reservation. Have repeatedly gone to Niki over the past ten years for back and leg problems. She is fantastic at what she does. Even though some of my problems are difficult to remedy, Niki never gives up and uses many resources and techniques to get to the bottom of the problem. I cannot praise Niki enough; she has truly made a difference in the quality of my life. Nikki is so skillful and knowledgeable. I feel confident that she is going to help get better. State of the art technology that I haven't seen at any other physical therapy clinic I have been too. Very different approach to treating my frozen shoulder and it worked! Highly recommend Dr. Varveris and her team. Nikki was great! Very knowledgeable and helpful. Really happy I found Niki. She is very knowledgeable and took time to explain what she is doing. I am Having major problems with my cervical spine , at the C1 and C2 and I feel confident that she will help me. Everyone has been wonderful and very accommodating. I had a Stroke and the Alter G treadmill (very few in Naples) and other tools have been great. It will take time, but it is nice to see how knowledgeable people practice their skills. I would highly recommend them to anyone needing PT; they are terrific. I have been having headaches from a whiplash caused by an accidental side blow to my head. Niki has worked diligently on my shoulder and neck muscles to relieve inflammation and pressure pressure to give me relief. She really gets it, and seems to know exactly what hurts and how to help. I feel a little better with each visit and really look forward to her treatments. Thank you Niki, for being so caring! Niki was amazing with my neck issue. I was on the way to an injection and her skill demonstrated that was the wrong path. Moreover, Niki gave me the tools to keep pain under control going forward. Skill plus personal caring combine for a wonderful patient satisfaction. Nice work! Dr. Niki Varveris is an exceptional health care professional. She is extremely competent, compassionate, and thorough. Her assessment skills, treatment plan, client teaching, and follow through demonstrate her high level of excellence. Dr. Varveris provides care that includes a logical progression of treatment and gives clients thorough and comprehensive attention, never any short cuts regardless of how busy she is. As a healthcare provider myself, I am very impressed with her and the staff at PhysioNetics. Tops in Physical therapy. Your team is sincere, dedicated, always helping the patient make progress, even on a bad day. Little wonder. Niki sets the bar for excellence. My experience with Niki, Sean, Regan and the rest of staff has been viewed to be very dedicated professional, positive and helpful. It is difficult to measure how much progress has been made, but there has been some. I appreciate Niki's dedication to pursue new treatments for my paralysis. The spinal injury I incurred is rarely this severe as a result of spinal stenosis. Nerves heal very very slowly. I haven't given up hope to improve as long as my insurance backs me up.